As we age, skin loses its elasticity and starts to sag. While the skin on the face and the neck are of special concern, sagging skin occurs on every area of the body. This is especially true when we live our lives in the Fort Lauderdale sun. While exercise, lotions and creams seem to have little to no effect, laser skin tightening is now available to get you the results you want to truly improve the appearance of your skin. 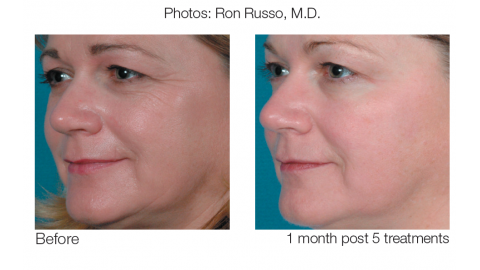 For years, lasers have been known to be effective for skin tightening, but VIP Aesthetics now offers a new twist on this technology. By combining bi-polar radio frequencies with laser light energy, we can now offer our skin tightening services to an even broader range of patients – including patients who were previously ineligible to receive laser skin treatment due to their placement on the Fitzpatrick scale. Come find out for yourself why the skin tightening treatment we use at our Fort Lauderdale treatment facility is the best choice for treating loose skin. We offer a free aesthetic consultation so that we can discuss your concerns and share our options for improving the appearance of your skin.